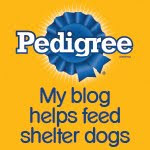 Burt's Bees New Line Of Pet Products: Review And Giveaway! We were so excited to try out a few of the new pet products from the venerable and beloved Burt's Bees line of personal care products, and even happier to be able to share a few of these excellent products with you! 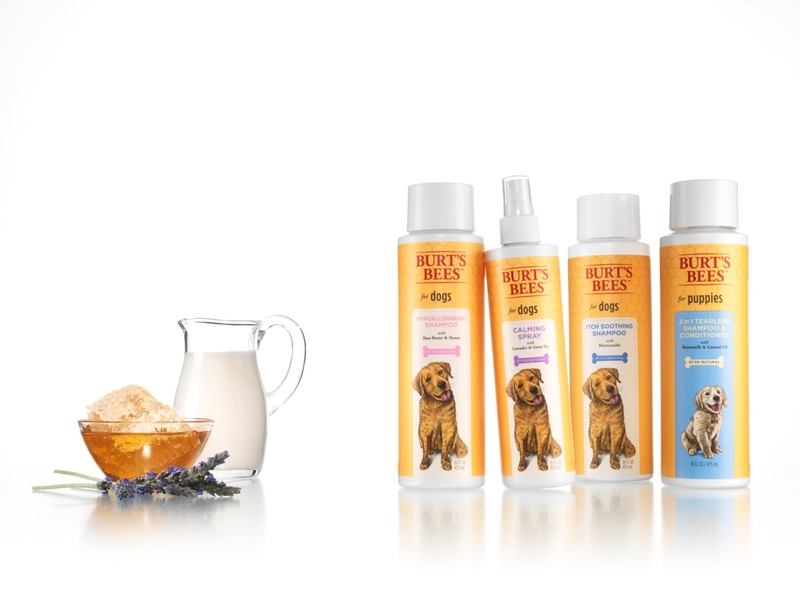 We're giving away to one lucky winner, one each of Burt's Bees dog deodorizing shampoo with apple and eucalyptus (16 oz), and oatmeal conditioner with colloidal oat flour and honey (10 oz). Please see the details at the end of this post to enter to win. Burt's Bees began their entrepreneurial adventure selling tins of beeswax lip balm and hand salve at local craft fairs way back in 1984, and have been enticing customers with their (99% natural) line of personal care products ever since. Just this past April, Burt's Bees launched their first ever line of pet grooming products (starting with us dogs), that includes shampoos for both adult dogs and puppies, a multi-care dental spray and a "calming" spray with lavender, among others. Burt's Bees pet products are distributed by Fetch4Pets and are currently available at PetSmart, Petco and other local pet specialty stores. We received one of each of the above-listed products to try, but will only be reviewing the deodorizing shampoo and oatmeal conditioner in today's post. Parental Unit (unfortunately, from my perspective) has bathed me twice with these products, and the results have been consistent and excellent (According to her, only. 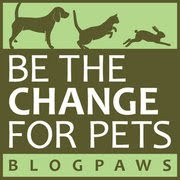 I hate baths no matter the quality of my "grooming" products). Here's my bath being drawn...Parental Unit always adds a bit of shampoo to the water to get my cleaning started-notice the light "sudsing" action of the shampoo. And yours truly, still mercifully dry and awaiting my fate. All wet and dreading the application of shampoo...not happy! The deodorizing shampoo with apple and eucalyptus was very light and thin in consistency, which made it extra easy to lather up and apply. What we particularly appreciate about this shampoo is the fresh, natural and incredibly light scent. Both Parental Unit and I hate heavily perfumed products of any kind, particularly those that are applied to our skin. (It also makes us think that the manufacturer is trying to hide inferior ingredients with a heavy, fake scent). Parental Unit was pleased with the way the shampoo cleaned and refreshed my coat, and I was pleased that I've had no itching issues after either bath. By the way, either one or two shampoos worked to leave me smelling, well, clean! 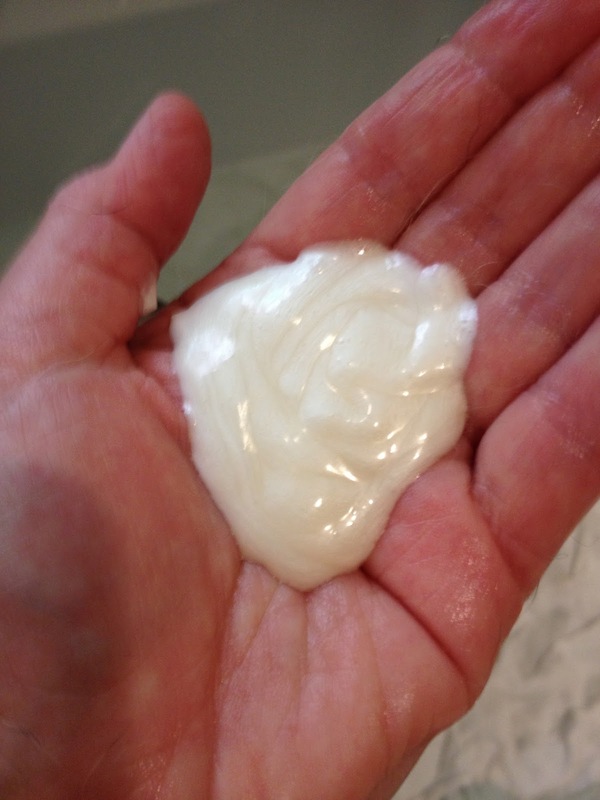 Just when I thought we were finished...here comes the conditioner! As you can see, it's nice and thick and creamy, with just the barest scent of honey. It's non-greasy, rinsed easily and softened my coat. Whew! Done except for the towel dry! We definitely give these Burt's Bees pet grooming products a four paws up (if used on other dogs) and a two thumbs up from Parental Unit! Please note: If the rules are not clear to you, feel free to ask at: jdemarti@columbus.rr.com. Likewise, if you've chosen to enter, please check back at the appointed day to see if you're a winner. And if you're one of the lucky ones, please provide your mailing address to Parental Unit at the above e-mail address. Thanks! One lucky winner (continental U.S. only) will receive one, Burt's Bees 16 oz deodorizing shampoo and one 10 oz, oatmeal conditioner. This contest will run from today, Friday June 28, 2013 through Tuesday, July 9, 2013 at 8:00 EST. I follow you on Facebook as Kelly Ann T. I tweeted, https://twitter.com/cstironkat/status/350856128617398272. I would like to enter this giveaway. Thank you. We can't enter here in the UK but we will keep an eye out for the launch over here. Have a super Saturday. PS some of our readers have said they are not getting our posts. We are posting as usual. Honey smell of the conditioner sounds DEEEElicious! I haven't found a smell of conditioner that I like yet. For some reason, "clean smell" on the bottles smells like "halfway toward dirty" again to us. I just keep on using conditioner b/c the vet said we needed to to seal their skin again before using their flea product a couple of days later. Also just a suggestion for the previous commenter that said they were looking for a nice smelling conditioner for their dog: I've never used Burt's Bee's products so cannot speak for them yet, but my dogs currently use the Furminator conditioner. In addition to helping get rid of fur that is ready to be shed (resulting in less shedding after the bath), I personally love the smell. I used to work at a grooming salon and the the furminator products were the best smelling in my opinion. Thank you, Kate! I'll have to check it out! Sissy and I would like to enter the giveaway. We liked you on facebook, tweeted and our twitter handle is @daniellemurgia. Thanks! Hi Bocci...I'd like to enter your giveaway today...I like your FB page and Momz has shared your contest on both twitter and FB Have a great day! I would love to enter your giveaway! I like your FB page and tweeted! https://twitter.com/brumzoo/status/351759465667756033 I have nine rescue dogs of my own and one foster and would love to win these awesome Burt's Bees products for them! Thank you! Please enter me in the giveaway! I follow you on facebook as Rachael Henzman and tweeted this here: https://twitter.com/3whiskateers/status/351947906061832193 Thanks for the giveaway! I'd love to win. I liked your Facebook page and shared the giveaway on FB as well. Seriously, the produkhts sound furry nice! PeeEssWoo: BTW, she's nevFUR given me one and I intend to keep it that way!